Not since Lady and the Tramp or maybe Mystic Pizza or perhaps Moonstruck has there been so much Italian love in a single movie. Of course, Little Italy much like its namesake pales in comparison to the real thing. That being said, there are moments in Little Italy that do take you back to a simpler time. 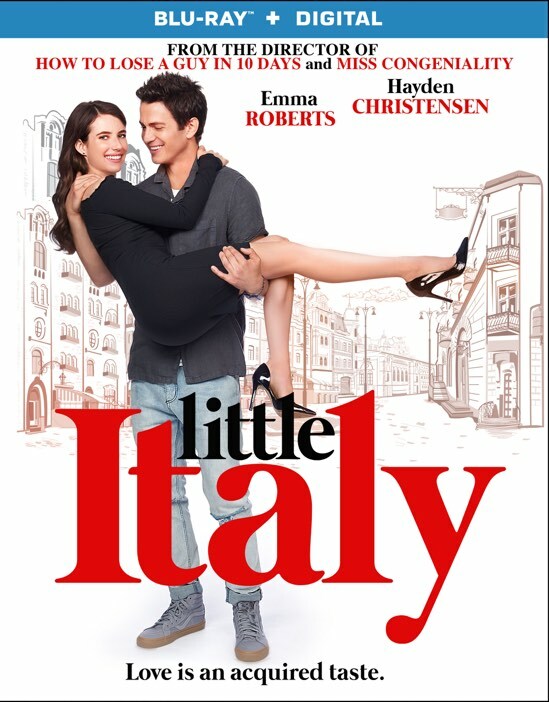 If you enjoy Romeo and Juliet (and its many bastardizations over the years), then you'll love Little Italy. Nikki must return to her roots after an issue arises over her visa and that means landing smack dab into a turf war of their little piece of paradise in New York City. There's a feud escalating between two family-owned pizzerias and Nikki finds herself breaching enemy lines when she falls for childhood pal Leo. Right off the top, let me say that this film is anything but unique or flawless. In fact, if you've seen every romantic comedy from the 1990s onward, then you will recognize their DNA in every scene. And yet, there is something that feels fresh about Little Italy. I think the film is redeemed by its leading lady Emma Roberts who takes a page out of her more famous Aunt's playbook to prove that she too has the chops to carry a romantic film. Helping her along the way is a wonderful cast of supporting characters that include Alyssa Milano, Danny Aiello, and Jane Seymour. You sprinkle a who's who of Italian-American character actors that have popped up some of your favorite mob classics and you have the ingredients for a tasty meal. Unfortunately, there is one elephant in the room that I would be remiss if I didn't point out. Emma's romantic lead is played by the man who was so wooden that he almost single-handedly killed the Star Wars franchise. I'm talking, of course, about Hayden Christensen and in this movie he gets to don the worst Italian accent known to man. It's so bad that once again, he almost sinks the film all by himself. Thankfully, the always precocious Emma Roberts is there to inject the scene with humor and grace. In fact, it's her character's social graces that sort of work to tie in the would-be romance that is clearly lacking in any measurable chemistry. I've seen Hayden Christensen turn in great performances, but romance is not his strong suit and I can't figure out why filmmakers keep coming back to him in this role. There are any number of actors with Italian roots that would have done the role of Leo justice, so I'm just left scratching my head. Also, the film basically falls prey to every cliché and plot trap that exists in romantic comedies and yet I did rather enjoy the film. If you're able to turn off your brain for 100 minutes or so, then you will probably enjoy it as well. It does play like a greatest hit of 1990s romantic comedies, but like a good pizza, this sort of film is like food for the soul of the romantic. In the end, Little Italy proves that the finished product truly is better than its ingredients. There are plenty of films that waste their talented casts, but this movie is one that wrings out all of the flavor and gets it all onscreen. It's not perfect, but like a bad pizza, it's still pizza and that's pretty good. 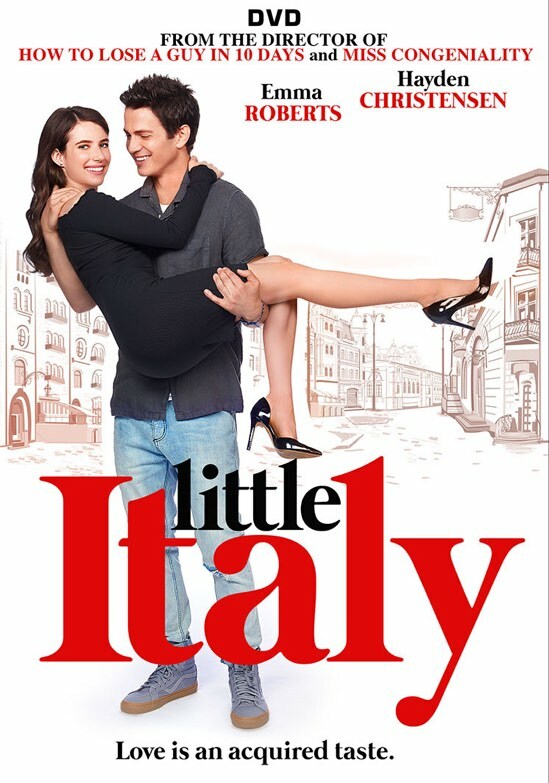 Little Italy is now available on Blu-ray and DVD.